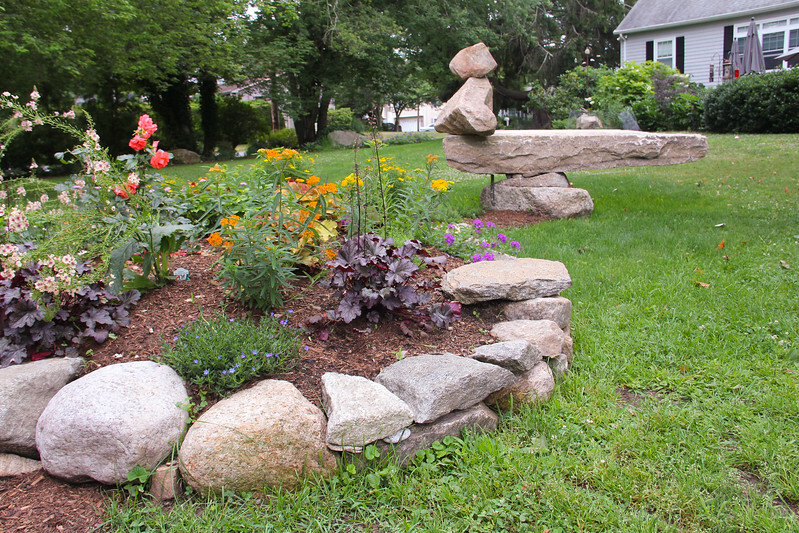 In the spring of 2014, landscaper and artist Dan Cook, along with Kevin and Betty Ann, designed a stone seat that would endure time, grandkids and beyond. Once the seat was created, the flower garden came next, and with the shed on one end it created a spot for our fire pit and surrounding chairs. The seat has been everything we imagined. It held all six grandchildren, is used as a table for summertime fireside snacks, serves as a launching pad for jumping children, and even Gracie jumps up now and then, too. I also think that my scotch on the rocks looks good sitting there too!